T8 LED tube light with unmatched driver technology. 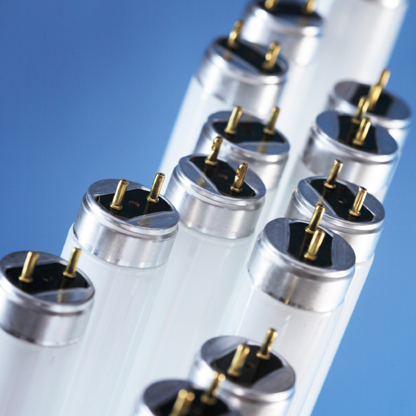 Hybrid T8 shatterproof light can be used in general and food safe applications. LED 4' T8 tube light that is on the edge of color correct or LED light that is on the edge of full spectrum or color correct light. • Direct voltage wiring instructions printed on each tube. Licensed under U.S. Patent #8,729,809 Qualified to DLC 4.0. USA engineered, supervised and warranteed! Questions on light quality comparisons? Call Jim at 1-888-572-3899. 5,000 Kelvin, 83 and 80 CRI options. Call for distributor pricing or volume pricing. 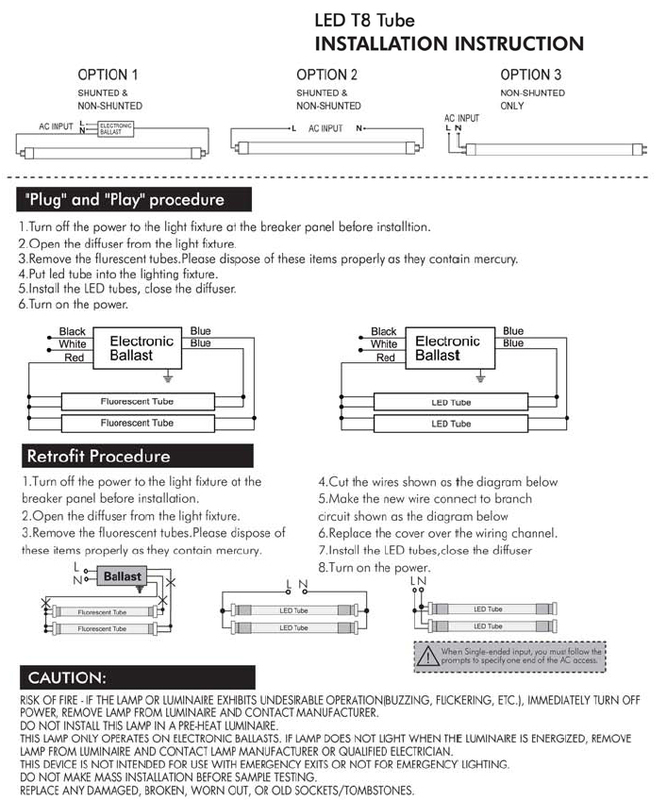 For "How to" information on converting your fixtures to LED, skroll below. Note: LED Lumens are brighter than fluorescent lumens. This is due to narrower beam angle on the LED. It delvers a more concentrated light when comparing lumens. So the 15 watt light below will deliver a 2500-2600 light luman range. The 17 watt will deliver 2600-2700 light lumen range. For our 8' four lamp prewired ballast free fixture for the above LED lamps, click here. Keywords: LED light, natural spectrum light, full-spectrum light bulbs, we have all your color-correct lighting needs handled at crslight.com. We offer high quality full-spectrum light and solutions for those who seek natural light for their office, work or home environment. Our full color spectrum lighting is easy on the eyes and will allow for better health and less headaches and eyestrain brought on by regular fluorescent lighting.